GRE is not offered at AUS Testing Center. Applicants are required to submit General GRE scores for admission to the PhD in Engineering - Engineering Systems Management (PhD ESM) program at AUS. The GRE General Test measures verbal reasoning, quantitative reasoning, critical thinking and analytical writing skills — skills that have been developed over a long period of time and are not related to a specific field of study but are important for all. AP exam is not offered at AUS Testing Center. 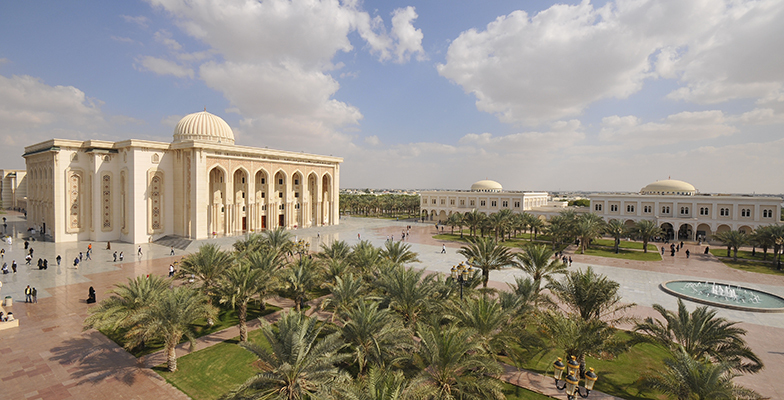 American University of Sharjah recognizes the Advanced Placement Exams and awards advanced standing credit, on a case-by-case basis, for those students who take the exam and receive a minimum required score as determined by AUS. Students who earn advanced standing may be exempted from taking certain AUS placement exams, depending on the subjects/courses taken and the grades earned. AUS is an authorized testing center for the GMAT exam. GMAT® exam is a standard test for predicting the academic performance for graduate management programs. The GMAT test measures the higher order skills appropriate for graduate management education. Applicants are required to submit either GMAT or MBA Admission Test scores for admission to the MBA program at AUS. The intended purpose of the Master of Business Administration (MBA) Admission test is to assess a prospective student's capacity to succeed in the MBA program. Although the test does not measure business knowledge or skill, it allows us to asses a prospective MBA student's analytical, writing, quantitative, verbal and reading skills in preparation for being admitted into the MBA program.